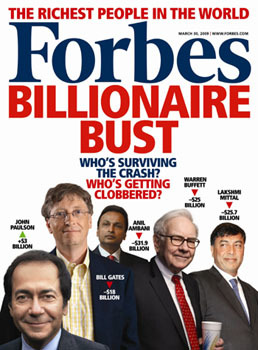 In the outbreak of Internet and Social media, Forbes magazine has listed newcomers and possible billionaires that might compete the yearly ranking of the world’s richest entrepreneurs. In a not-so-far comparison, Staff.com has created an infographic that differentiates the old and new media billionaires. To name a few, Mark Zuckerberg, a dropout of Harvard has already reached a revenue of $13.3B as of March this year. His net worth has touched 1 Billion in just a span of 3 years. Isn’t that amazing? That holds true for other new media billionaires like Reid Hoffman (founder of Linkedin), Larry Page and Sergey Brin (founders of Google). These entrepreneurs gained their billions of wealth through the internet. On the other hand, those old media tycoons who were not able to take advantage of the Internet during their time took several decades to become a billionaire. Rupert Murdoch (founder of News Corporation), for example, had to endure 40 years of work just to get through his first billion. That is a lot compared to how Mark Zuckerberg did it. Had the Internet been available at that time, it would have been way different. Each of these billionaires had their own fair share of hard work and perseverance. After all, it is not that easy to put up a business, maintain it and make it profitable in the long run. It is just interesting to see the differences of how these entrepreneurs are able to accumulate their wealth using the different resources and technology during their time. Check out more of those comparisons from the infographic below. Take note of the time it took each of these entrepreneurs to reach a billion dollars worth. The difference is striking. In your opinion, how well has new media and technology helped new entrepreneurs run their businesses today? Let us know what you think.